Is there a secret UFO war happening in Antarctica? According to John Kettler, a former US military contractor and scientist, there is an expanding UFO war that is now taking place in waters off Antarctica. Kettler cites unnamed “sensitive sources” to substantiate his claims that a US led coalition of naval forces is militarily engaging with hostile extraterrestrials. This UFO war is an extension of alleged naval battles off the coast of San Francisco earlier reported by Gordon Duff from Veterans Today who refers to his own unnamed “reliable” sources. There is little more than a collection of unnamed sources supporting such allegations, and there is good reason to conclude that Kettler’s and Duff’s claims are part of a psychological warfare operation that may be related to planning for a false flag alien event. There is one historical incident that casts light on whether or not Kettler’s claims are part of a psychological warfare program being slowly unveiled to the world. There is new evidence that Admiral Richard Byrd’s famed 1946/1947 naval expedition Operation High Jump did encounter and battle a mysterious UFO force in Antarctic waters. The UFO War continues to expand, with heavy action in the Antarctic Ocean … according to highly sensitive sources. Two submarines of the Chinese PLAN (Peoples Liberation Army Navy) have been slammed together, resulting in injuries, but no fatalities, to the submariners inside them. Last night, 20 UFOs, traveling at 25,000 mph, left the Antarctic Ocean in a group and went to Guadalajara, Mexico. Another group of 15, flying at the same speed, went to Argentina. This morning, 12 more emerged and went to Chile. Duff made similar claims to a UFO war in the Pacific that he originally reported in September. Now an Asian intelligence agency reports that a combined fleet operation between the US and China has been going on, a full combat operation against what we are told is a “highly unfriendly extra-terrestrial threat.” The verifications of the fleet operations have been many, there have been no confirmations from the US side though the ships have been seen by every vessel that makes it offshore. The true nature of both the threat and the extent of the multinational military force used is beyond any imaginable classification level. UFO War in the Pacific has now become a five-nation coalition war through the Pacific Basin, per supersensitive terrestrial sources. Naval forces involved include the U.S. Navy (U.S.), PLAN (People’s Liberation Army Navy) (China), JMSDF (Japanese Maritime Self-Defense Force) (Japan), ROKN (Republic of Korea Navy) (South Korea) and ROCN (Republic of China Navy) (Republic of China/Taiwan)… Total is around 200 ships, including two U.S. aircraft carrier battle groups, many additional surface combatants (frigates through cruisers), numerous submarines and multiple URGs (underway replenishment groups) to keep all the warships fueled, munitioned, crews fed and supplied with multitudes of items. The UFO War is an unprecedented kind of coalition war–with all the headaches and political delicacies that entails. Given that Kettler, along with Gordon Duff, only cite unnamed sources in support of an expanding UFO war in the Pacific and now Antarctica, it is tempting to dismiss their claims as part of some agenda to make the general public believe in hostile extraterrestrials attacking the US military and allies. There is one historical incident that does give circumstantial support for Kettler’s and Duff’s claims. In 1947, a US naval expedition did appear to engage in a UFO war – one where the US Navy apparently suffered significant casualties and had to withdraw. After the Soviet collapse in 1991, the KGB released previously classified files that cast light on Operation Highjump. A 2006 Russian documentary, recently translated, made public for the first time a 1947 secret Soviet intelligence report commissioned by Joseph Stalin of the Operation Highjump mission to Antarctica. The intelligence report, gathered from Soviet spies embedded in the US, revealed that the US Navy had sent the military expedition to find and destroy a hidden Nazi base. On the way, they encountered a mysterious UFO force that attacked the military expedition destroying several ships and a significant number of planes. Indeed, Operation Highjump had suffered “many casualties” as stated in initial press reports from Chile. While there is a possibility the report resulted from US disinformation fed to a known Soviet mole, the more likely explanation is that the report exposes the first known historical incident involving a battle between US naval forces and an unknown UFO force stationed near Antarctica. There is a serious question mark over whether or not another USS Maddox served with Operation Highjump, and a further question arises over whether the US misled Soviet authorities with false intelligence in 1947. Despite these unresolved questions, there is a very real possibility that the 1947 Soviet report is substantially accurate. If so, then we have a historical precedent for the US Navy battling an unknown UFO force in Antarctic waters. 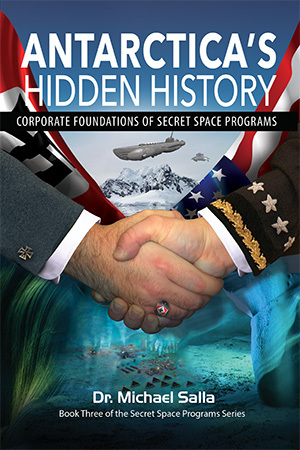 The lack of confirmed sources makes Kettler’s and Duff’s claims of an undeclared war between hostile extraterestrial forces and a US led naval coalition in Antarctica and/or the Pacific, something to be seriously questioned, if not dismissed altogether. This is especially so given whistleblower testimony that a UFO false flag war has been planned for several decades. The likelihood that Kettler and Duff are unknowingly disseminating misinformation about hostile extraterrestrials as part of a false flag UFO scenario is high as I have written earlier. The alleged 1947 UFO battle in Antarctica involving the US Navy either really happened or was US misinformation fed to the Soviets during the Stalin era, and later released to the general public in 1991. If the Soviet report is based on disinformation, then its release serves to promote international conditions for a future false flag UFO operation. If the Soviet report is substantially accurate, then the historical precedent of a 1947 UFO US Navy battle suggests that it would be unwise to simply dismiss Kettler’s and Duff’s claims as disinformation. In either case, great vigilance is required on the part of those investigating claims of battles between a US led alliance of naval powers, and hostile extraterrestrials based in undersea bases in Antarctica and/or the Pacific Ocean. Prometheus – are humanity’s creators set to return & destroy us? 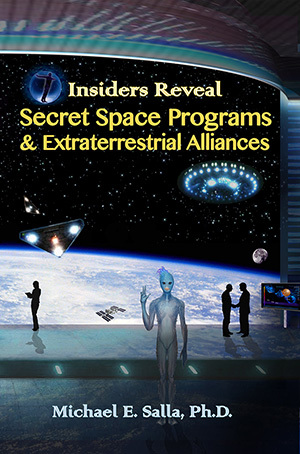 Kettler defends alien UFO war claims – Truth Teller or Disinformation Asset? ← Did US Navy battle UFOs protecting Nazi Antarctic sanctuary in 1947?